For all we rely on water in British Columbia, we know little about how much flows through the ecosystem and even less about how that is changing with our evolving climate. While streamflow measurements are used to measure water in its liquid form, it is far more challenging to determine the amount of frozen water locked in snow and ice. Communities depend on melt from this frozen reservoir for summer needs. 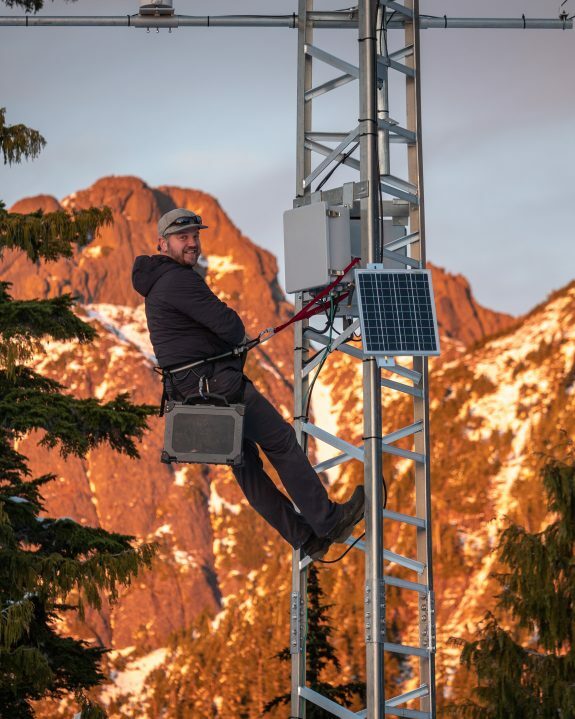 It is therefore vital that we understand how this reservoir has contributed to runoff in the past, what the current conditions of the snowpack and glaciers are, and how these critical freshwater reserves will likely change in the future. What are the best methods to determine seasonal snow and how it changes through time? 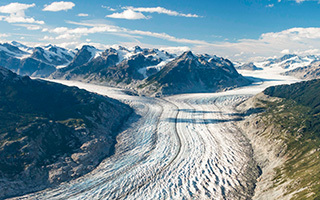 How have rates of glacier mass loss changed through time? How variable is seasonal snow along the central and southern coast of BC? What portion of the flow from a watershed comes from the frozen reservoir? It is not a simple task to determine the amount of water locked in the snow and ice reservoir. 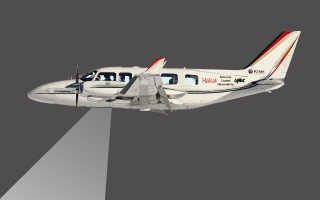 We employ traditional methods, such as satellite or plane-based observations to tackle large-scale questions. We also employ novel, less costly tools, such as new methods to look at archival photos and drones to help us quantify the historic and present rate of ice loss across spatial scales. Through our spectrum of tools, we can determine interannual variability, how this influences the rest of the hydrologic cycle, and how this is likely to change as the climate evolves. The South and Central Coasts of British Columbia contain half of all the ice cover in western Canada/US (outside of Alaska). 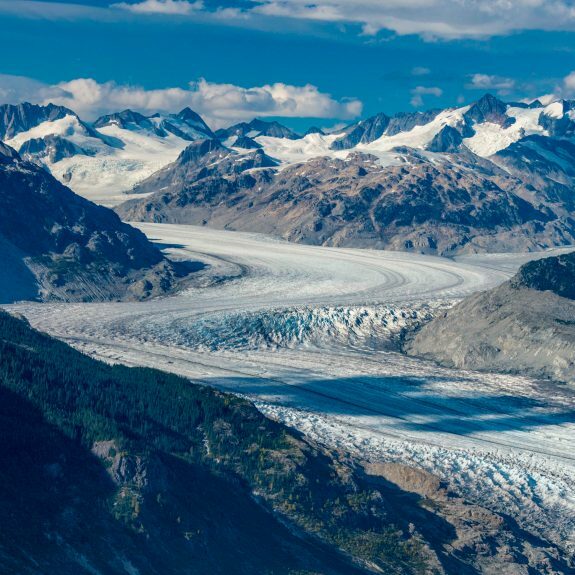 This ice cover is known to be dynamic, yet only only a handful of the region’s 7,469 glaciers are routinely studied. Our work fills these knowledge gaps to understand the past, present, and plan for an inconsistent future.